The statewide opioid crisis has had a devastating impact on Massachusetts communities and Nantucket is not exempt. The island is facing the same difficult issues surrounding opiate abuse as its counterparts on the mainland, but Nantucket health and public safety officials are working together to address the problem head-on. After Town Meeting – What’s Next For NCH? Watch NCH President and CEO Dr. Margot Hartmann and NCH Vice President and Project Executive Jim Kelly sit down with Dan Drake on Geno TV to discuss the results of Town Meeting and the next steps for Nantucket’s new hospital. Nantucket Cottage Hospital honored the recipients of the annual Partners in Excellence awards, which recognize superlative performance throughout the Partners HealthCare system, during a ceremony Tuesday afternoon in the Founders Building. Thank you, Nantucket. 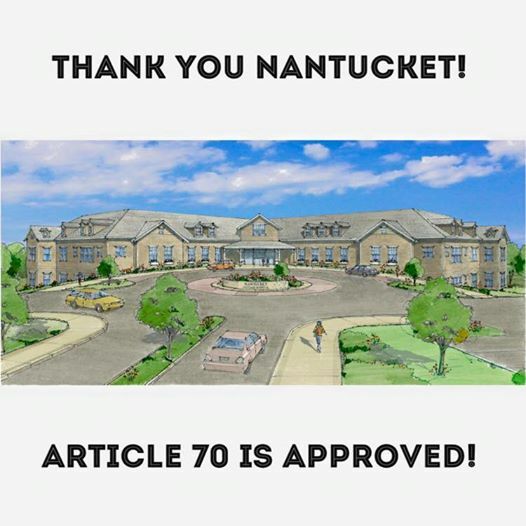 We will now work with the community and the island’s regulatory boards to design and plan the best hospital possible to serve Nantucket now and for future generations.